Yogi Sporting Goods, today, a leading online sports store in India was created with a sheer passion for the game of cricket. The main objective behind setting up the company was to bring down the total cost for running the cricket academy by producing some customized goods of the best quality at the lowest cost. The motto got its due when some cricket academies approached us for their sporting goods requirements. We believe this to be our success as we had started our journey with an aim to cater to most institutions and centers that were in dire requirement of sporting goods at low cost. Today, Yogi sporting goods has established itself to be one of the leading sports equipment stores in India catering to the sporting goods needs of several cricket academies, schools and colleges, sports institution and MNCs in and outside the country. 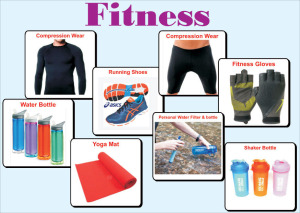 Yogi Sport’s expertise lies in producing niche products according to the individual’s requirements. We have also successfully delivered niche products to top cricket and sports organizations such as IOS, WCA, Payyade Cricket Club, Venus Cricket Club, etc. Football Clothing: We are a leading online football shop providing football clothing to many institutions and football lovers. We deal in TK Men’s Sports Performance Shorts. Badminton Shop: We have some exclusive and unique clothing for Badminton lovers and players. Being a leading online badminton shop we ensure to provide all the related sporting goods at the best price. Gymnastic Shoes: Being one of the leading fitness equipment stores, we offer our esteemed clients a range of sports shoes that they can wear during their workout regime. Cricket Clothing: Yogi Sports is a leading cricket store online having a range of cricket clothing for cricket lovers. We have created some unique clothing with best quality and price that are worth the money you pay.